Hello folks, great post, I worked for the Haulers for 3 months couple of years ago, good company deffo not the worst to work for. I just hit the solitary confinement wall when I was with them. So I came home and have done local supermarket deliveries for the past year mostly in a straight truck, and of course some warehouse work too, although as I sit and write this I am missing the road again ( most of you guys may know this feeling, the good bits not the bad bits lol) . I am edging towards tanker again, and even contemplating team which I have never done, but thinking it may cure the solitary side of things. Yes tanker driving is certainly different than van which I enjoy, mostly because there is no customer docks to bump, and usually the receiver is happier that you turned up. And I have a tendency to over think things so driving a tanker sort of suits me. I have preferred food to chemicals ( another over thinking problem I have) . Sorry for the long winded reply. Thanks for your imput Chris , just trying to find a tanker job up here in Massachusetts, very few and far between. And the ones that are up here require more experience than I have. Looks like I may need to expand my search and if this is the case I will need to find some parking for truck and also trailer. Hello there Ferret , how's things at QC Chicopee , I am thinking of heading over there. New CDL A holder "Massachusetts"
Just wondering if there is any recommendations for companies outside the bigger companies ? 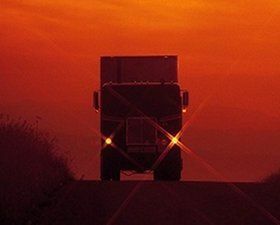 New CDL A licence holder "Massachusetts"
Recently gained my cdl a licence in Massachusetts (last week) , and I am also 2 years into staying in the United States so I am totally new to the industry . My question would be what I guess every newbie question is " does anyone have a recommendation towards a good company" . I go online and hours and hours later I am no further forward . I would like to go otr dry or reefer and perhaps tanker in the future once I gain experience " used to seeing the whisky tankers back in Scotland " any advice would be great.